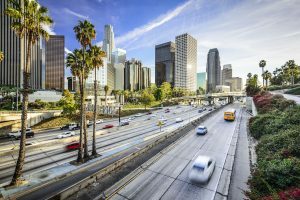 In a 12-0 vote Wednesday, the Los Angeles City Council approved a regulatory framework for licensing marijuana businesses ahead of California’s statewide cannabis market launch on Jan. 1. The council voted to advance three ordinances to the mayor’s desk, all of which establish a wide-ranging set of rules for marijuana businesses that want to operate within the city, including a social equity program designed to involve minorities and those affected by the war on drugs in L.A.’s cannabis sector. But council members emphasized Wednesday before the vote that they will be making plenty of tweaks to the law as the industry gets up and running. Details of the three ordinances and records related to them can be viewed here, here and here.